I think under the rules it needs to be in the service of a country it was meant for. Captured vehicles aren't really "workhorses" of the country that captured them. Michael, Totally cool with that answer. I will grab a T34 or Panzer IV for this campaign. We are down to the crunch time for the campaign. The deadline is looming near. Good luck everyone with their projects. 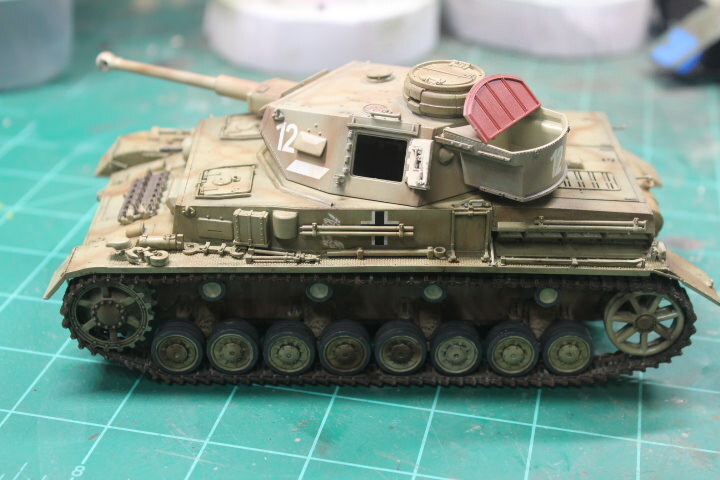 Randall N. -Good start on your T-34. I like the added details. Tom M. -Good choice for a kit. 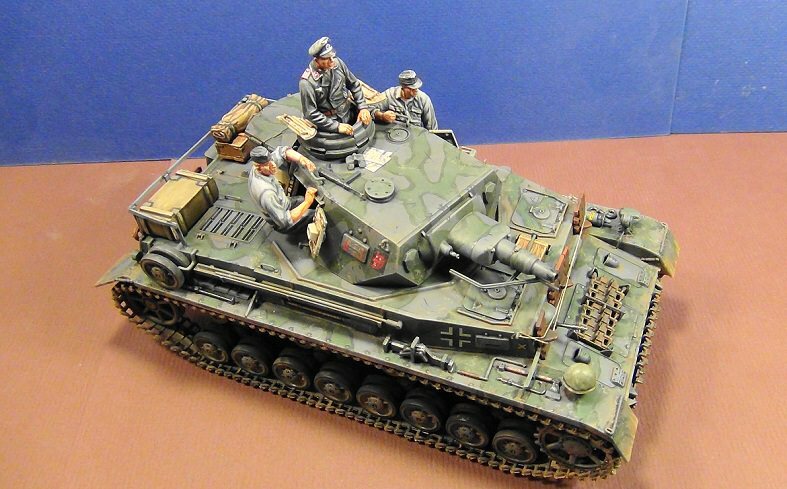 I like those Tamiya 1/48th kits. Matthew H. -Another stellar build shaping up. The details "Pop". 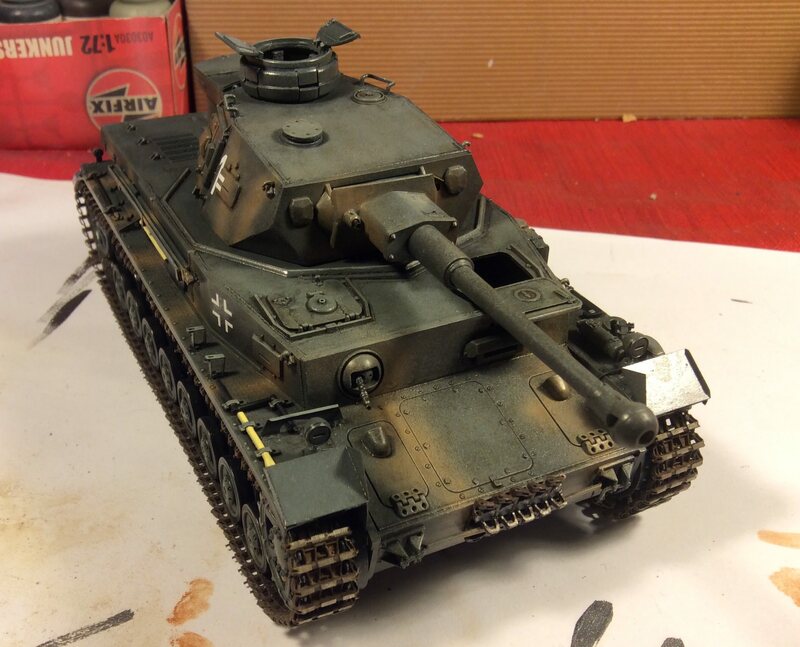 Chuck W. -Making good progress on your Pz. IV F2. 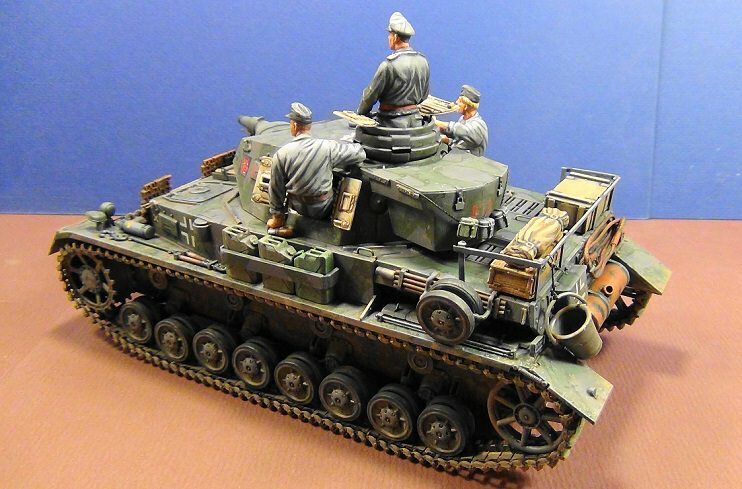 Darius -I like the 3 tone camouflage on your Pz. IV. Lap M. -Good luck getting her done by the deadline. Shell B. -Your Hummel is progressing nicely. Tom M. -Great finish to your T-34/76. Love the lil red star on the reciprocator's armor jacket. Tick tock, we are all on the countdown clock. Good luck everyone. FINAL REVEAL: Italeri Panzer IV (F1, F2, & G). 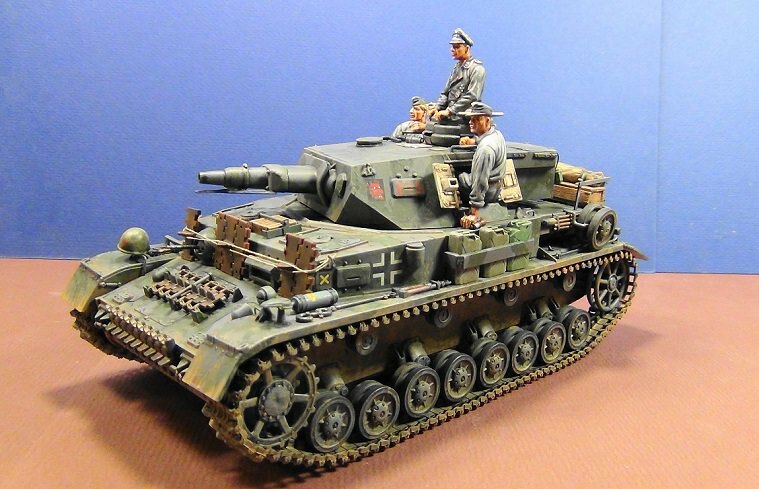 1/35th scale. I made the F1 version. I had to replace the kit's tracks due to breakage. A friend (Sivert) gave me some replacements. Thanks Buddy! I am really pleased with how the MiniArt figures turned out. I added a few items around the turret for a more realistic appearance. As per reference photos, I added some T-34 tracks to the glacis as extra armor protection. The stowage rack on the engine deck was made out of styrene strip. The stowage items I got from the spares box. The tow cable is a resin and braided wire item. I'm happy with the overall weathering. Several light filter washes of brown sand and earth unified the whole paint scheme. @ Panzerman; awesome F1! Those figures look ace and the extra stowage make it. Great job! I spent a happy evening modelling last night. 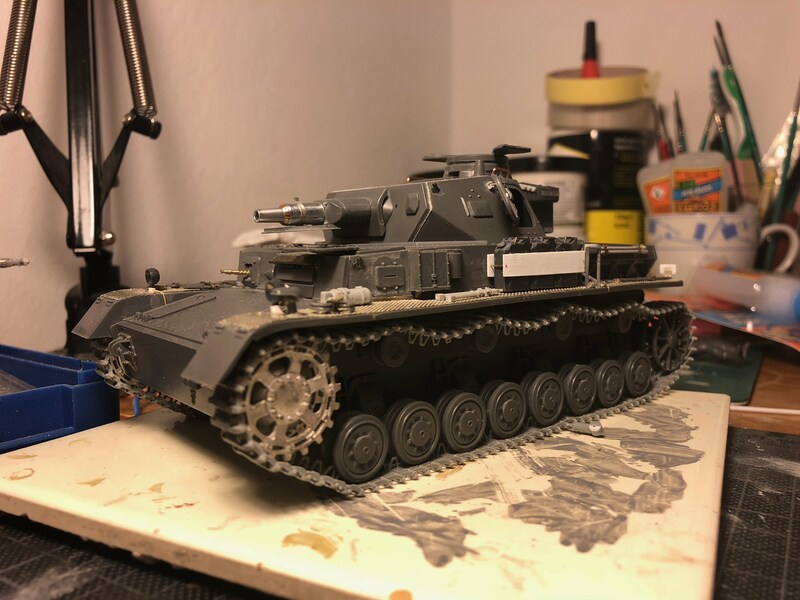 I added an extra track link to both sides of the panzer iv ausf d. Amazing how much track sag you get from adding just one link. I tinkered with a few other bits and bobs too; added the aerial, adjusted the headlights, etc. 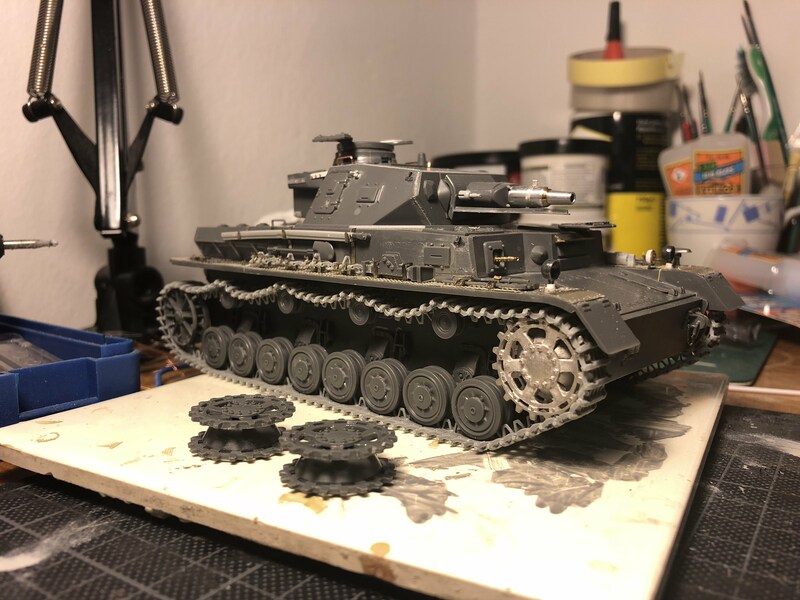 I also spent a happy 40 minutes trimming, scraping and sanding the incorrect Tamiya drive sprockets for the Ausf D to make them the right width for the 36 cm (38 cm?) track. All a bit pointless really as the proverbial horse has already bolted the barn door… Anyway, when I get the next Tamiya D I’ll be all set. Amazing work. Really liking the detail you added and the color tones on the figures really make them pop. Nice finish. Really great work everyone! Only about a week and a half left, so crack on! Well done, Panzerman. I think this turned out better than what you might have thought. Well, you sure made the Italeri company proud with this one. Thanks for posting. 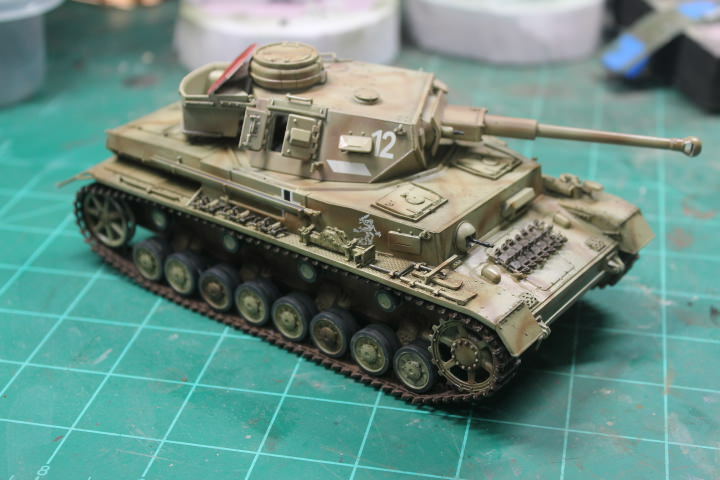 Well, I'm on the home stretch here with this Panzer IV F2. Coming along nicely, despite a few bumps along the way. Cheers everyone! Hope everyone can finish up this campaign in time. 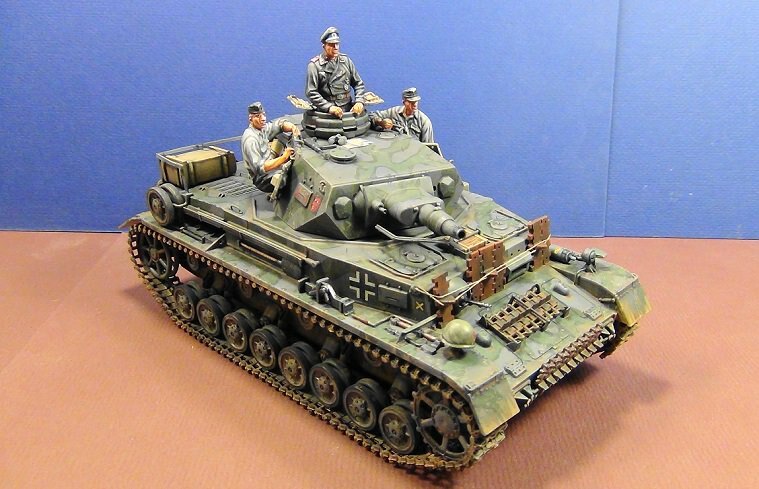 Very nice looking Panzer IV, a lot of detail. Yours is the first one I seen with the lid to the storage bin opened. Now I know what color the inside is supposed to look like. 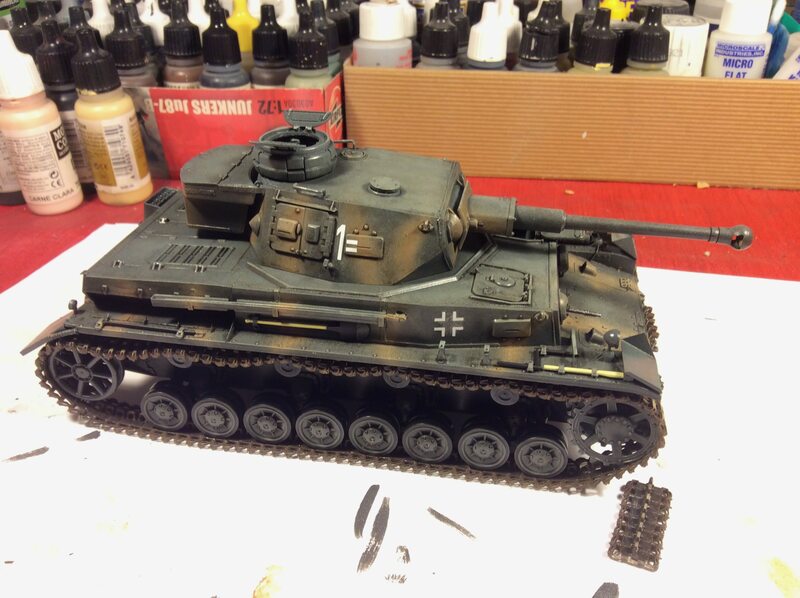 Almost there… Nice to see your panzer iv F2 with colour, Chuck. My F2 also has colour and decals. I used the Echelon decal set. 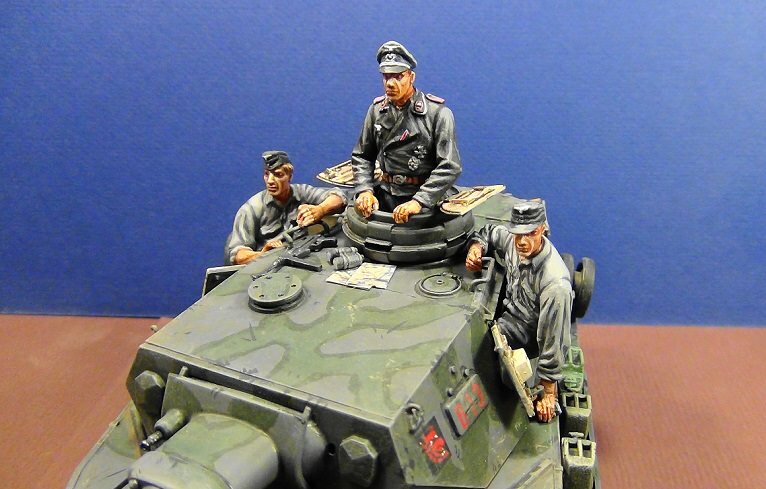 the tank is the 1st gun tank of 2nd platoon of the 1st panzer regiment of Grossdeutschland division. Still need to work on the wooden tool handles, perhaps a little chipping, and dump a load of pigments on it. Almost there… I think we can get across the finish line! Chuck, love the F2. I like the open bin too. Load the inside with a case of Russian vodka. Matthew, that a cool paint scheme and markings. Good luck everyone on finishing. Thanks for your kind comments Matthew and Bill. Hope to have the tools painted shortly and add a flat coat then some light pigments. Matthew, love the decal choice..yours looks like it came from a period photo album. Very nice IVs Matthew and Chuck, you can definitely wrap those up by the deadline! William, Matthew and Chuck, Remarkable. They look like real. Impressive work, boys! Nice work Matthew and Chuck!